We missed the classic British Butchers Sausage, so we brought it back. 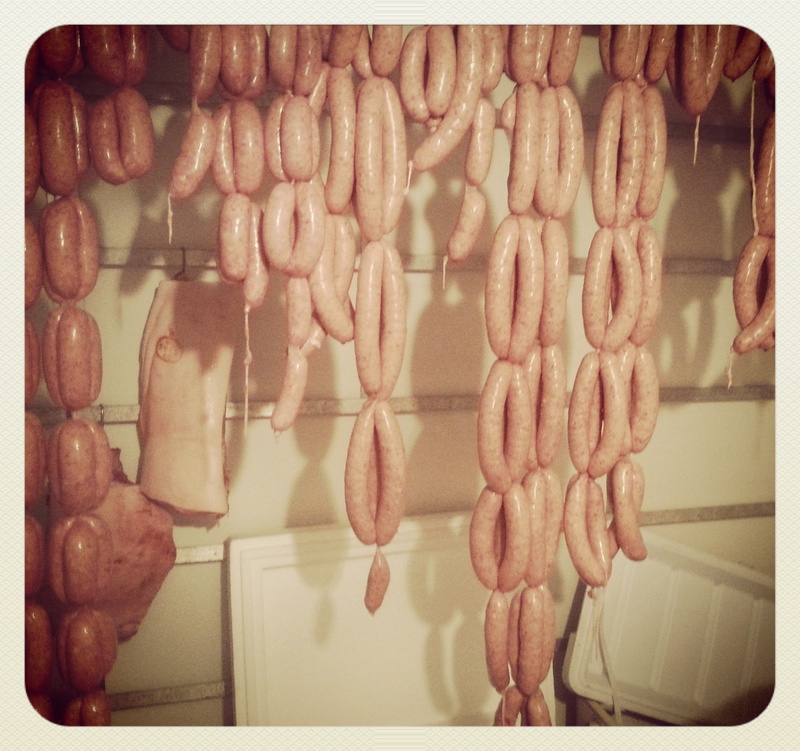 Made with quality cuts of pork and lots of it, these sausages don't shrink and they are full of flavour. 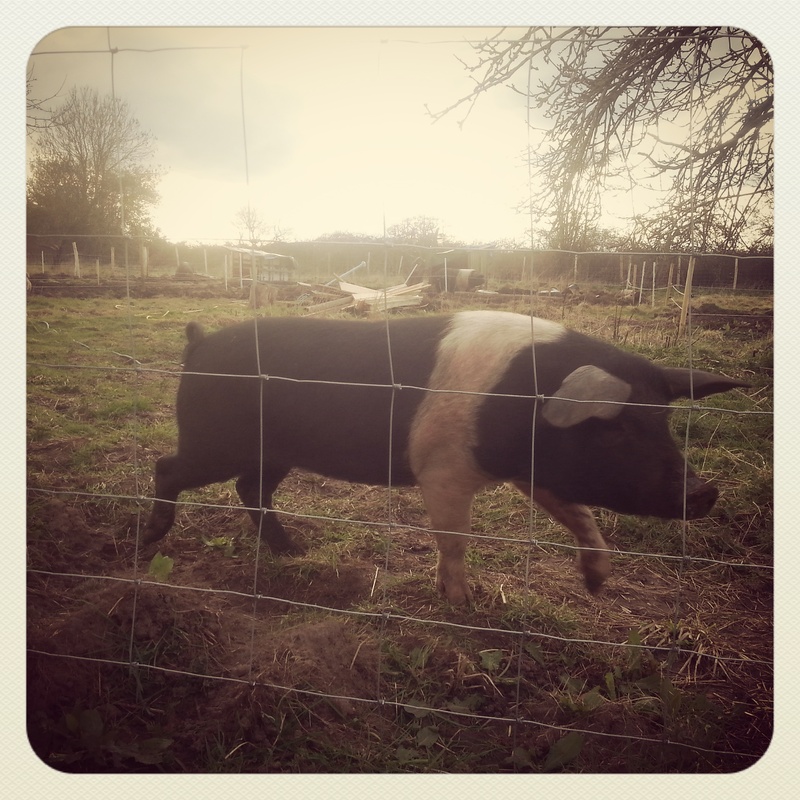 A selection of Saddleback Pork is available at intervals throughout the year. Please let us know if you are interested in purchasing anything from a whole pig for a spit roast to a couple of cheeks for a meal during the week. Occasionally our sows do produce more piglets than we need, so if you have been thinking about rearing a few piglets for your own freezer and would like to make it a reality, let us know. 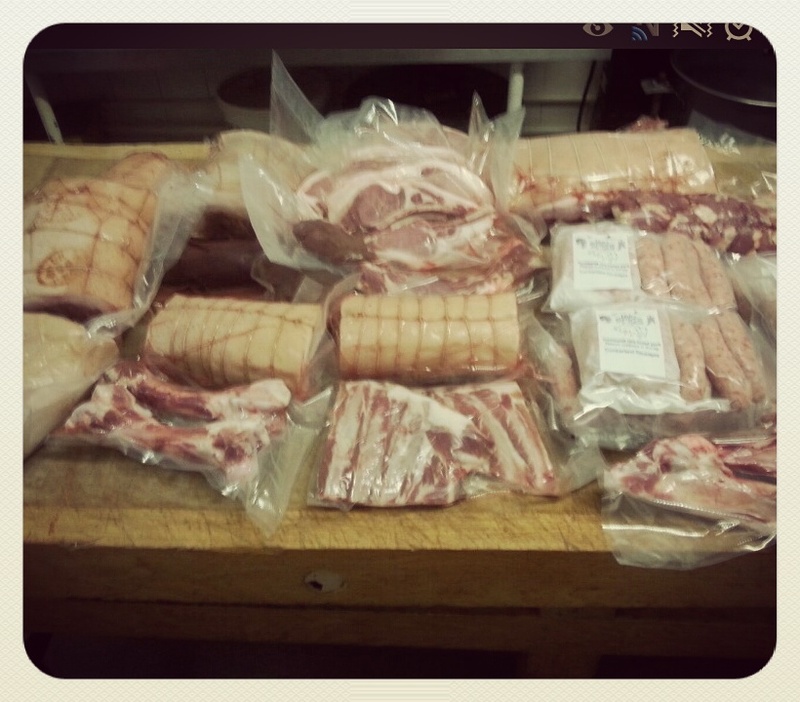 Pork Sold and Delivered Locally. We are at the Ripley Farmers Market second Saturday of each month but if you want some of our Sausages or Pork at any other time get in contact and we can deliver locally.